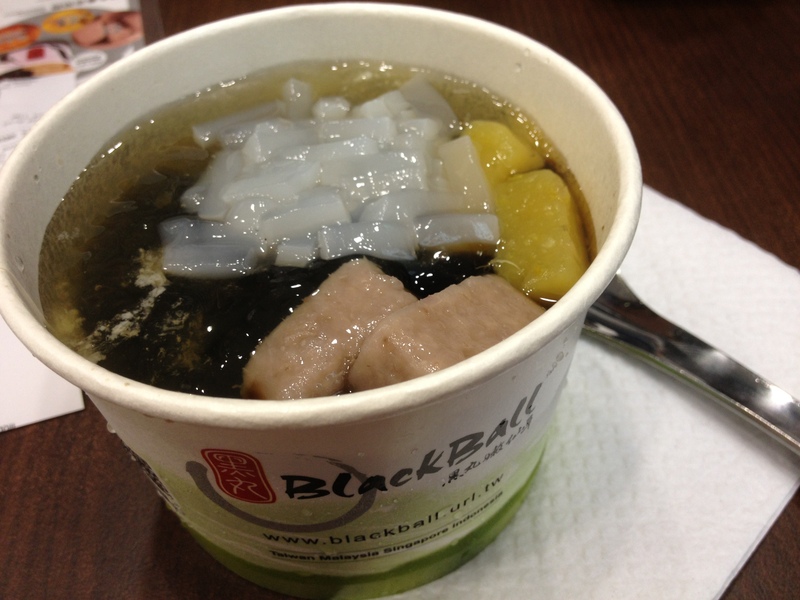 BlackBall Desserts ;D First time trying black ball! 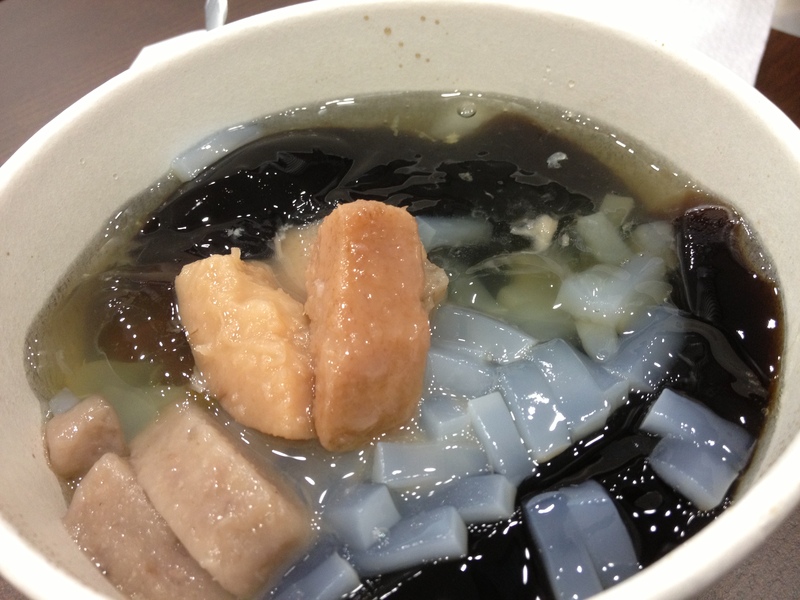 My friend was like emphasizing on how nice it is and that I definitely would not regret trying. So I tried and ordered the mix & match. 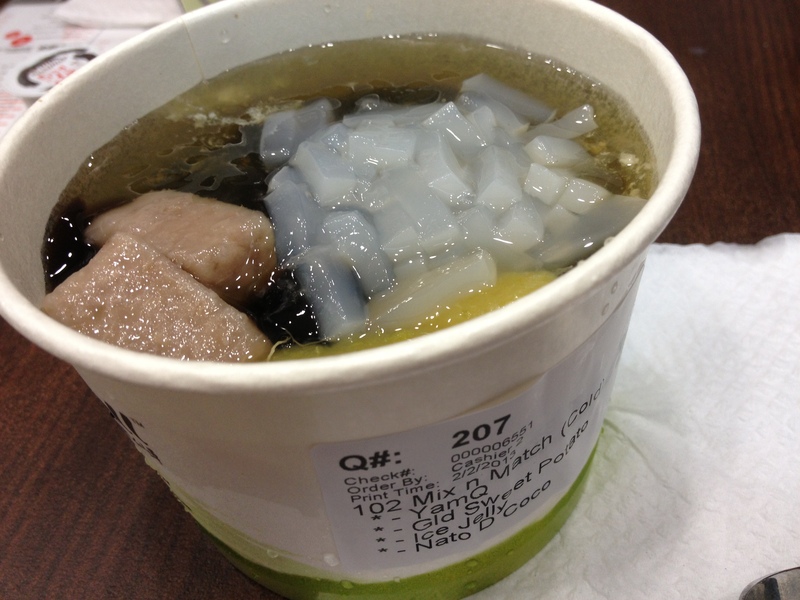 Four choices are: Yam Q, Golden Sweet Potato, Nata d’coco, ice jelly. 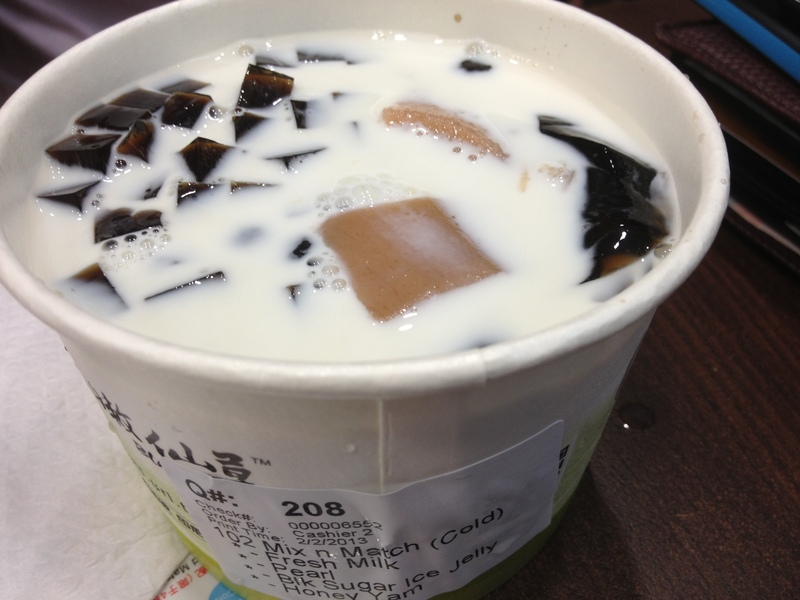 Their standard base was grass jelly.